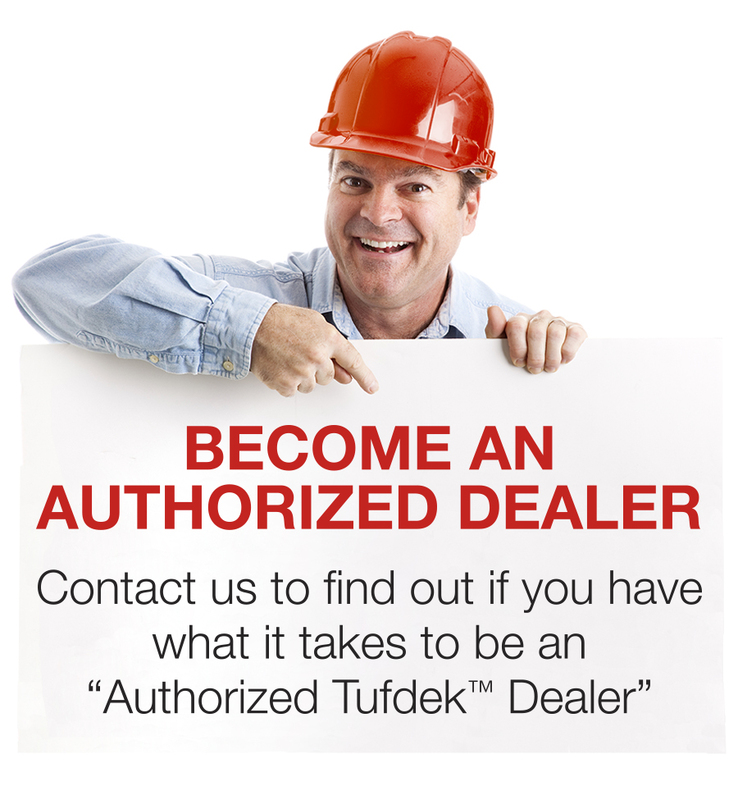 As an authorized vinyl decking dealer for Tufdek™ in Medicine Hat, Alberta, we bring 12 years of experience to every waterproof decking project we do. We specialize in maintenance free waterproof deck solutions and guarantee every deck we install with a 5-year labour warranty, along with the Tufdek™ decking manufacturer warranty by Tuff Industries. Our company is one of the few Tufdek™ “Authorized Factory Trained Dealers” approved to sell and install this high-end waterproof vinyl membrane flooring. We take care to properly position the vinyl membrane and then adhere and thermally weld the vinyl decking into place to create a 100% watertight deck. Ask us how we can add beauty into your outdoor living spaces including stairs and pool decks! In addition to the Tufdek™ vinyl decking we also sell and install aluminum railings and fencing, plus patio covers and pergolas. Ask about custom projects and new deck construction. If you live in the Medicine Hat area and you need to install a new vinyl deck or replace your old worn out vinyl deck flooring, call us at 1-877-860-9333 for a free estimate! We will gladly provide more information on vinyl deck designs and colour options, including designer wood plank and aggregate deck finishes. We will gladly go over every detail of your next project so there are no surprises or hidden costs. Call us today at 1-877-860-9333 or complete the contact form below.